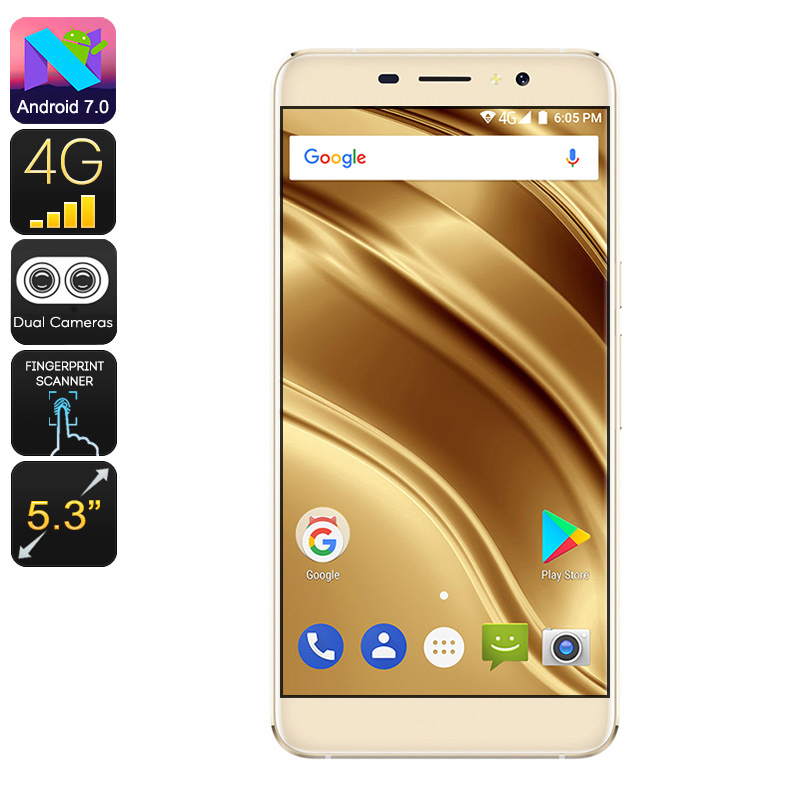 Successfully Added Ulefone S8 Pro Android Smartphone - Android 7.0, HD Display, 4G, Dual-IMEI, MTK6737 CPU, 2GB RAM, 13MP Cam (Gold) to your Shopping Cart. The Ulefone S8 Pro is an affordable Android phone that lets you enjoy all the latest Android features. With its Android 7.0 operating system, this 5.3 Inch smartphone treats you to a smooth and lag-free user experience. Via the Play Store, you’ll be able to download Apps, games, and movies. All those media can be enjoyed on the phone’s beautiful 5.3-Inch HD display. Thanks to its Quad-Core processor and 2GB RAM, this Android smartphone can handle all the basic software features out there. 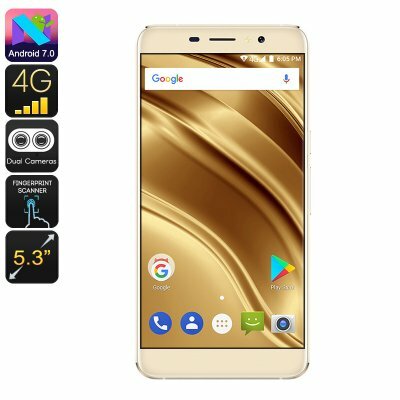 With Dual-IMEI numbers, this Android phone treats you to great connectivity. You are able to slide in two SIM cards and stay connected to both of them at the same time. Therefore, you’ll always be reachable on two different phone numbers while using merely one device. Additionally, your cell phone comes with 4G support. From now on, you’ll always be able to browse the web, stream movies, and download media no matter where you’re at. A powerful 3000mAh battery lets you enjoy all the cell phone has to offer for hours in a row. The phone packs 16GB ROM and supports a whopping 128GB external memory. With an ultra-fast fingerprint scanner in place, the phone lets you access all your files with the simple touch of a finger. This brings along great efficiency while simultaneously increasing the security of your device. Additionally, the Ulefone S8 Pro comes with a professional-grade 13MP rear camera. This snapper allows you to shoot breathtaking images and video. The Ulefone S8 Pro Android Phone comes with a 12 months warranty, brought to you by the leader in electronic devices as well as wholesale smartphones..
hi all just received this phone today, it is as i expected a great little phone does all and more than i need. for the price unable to fault. ordering and shipping first class, i will be back for more if things continue as at present. many thanks to all concerned . not one yet found and i have installed many apps etc.